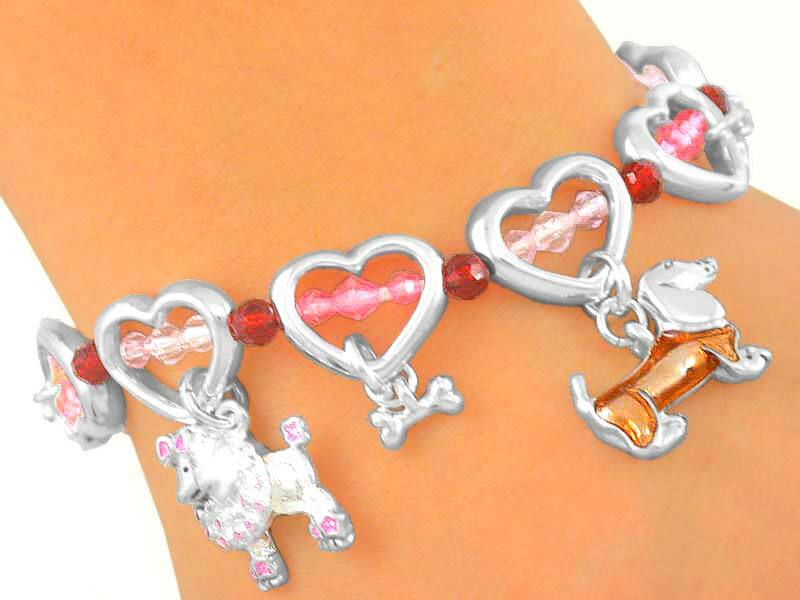 S2806B - "PUPPY DOG LOVE"
Lead & Nickel Free!! Adorable New! Silver Tone Hearts Separated By Ruby Red Faceted Beads. Hearts Also Have Three Dark or Light Pink Faceted Beads Running Through The Centers And Suspend Different Dog Charms, Including Mini Silver Finish Bones!